Manxman Dan Kneen is hoping for a change of luck at the 2018 Vauxhall International North West 200. Tyco BMW’s new recruit for 2018 admits he has not had the best of runs at the north coast races in previous years. “I’ve had good results at the other internationals but I’ve always seemed to have had issues and problems with bikes at the North West!” the Braddan man said. Kneen secured his chance with the Moneymore squad after putting in brilliant performances when he deputised for the injured Ian Hutchinson at last year’s Ulster Grand Prix that saw him finish on the podium. The Tyco deal topped off a great 2017 season for the 31 year old that also included his first TT rostrum finish in the Superstock race on the DTR BMW. 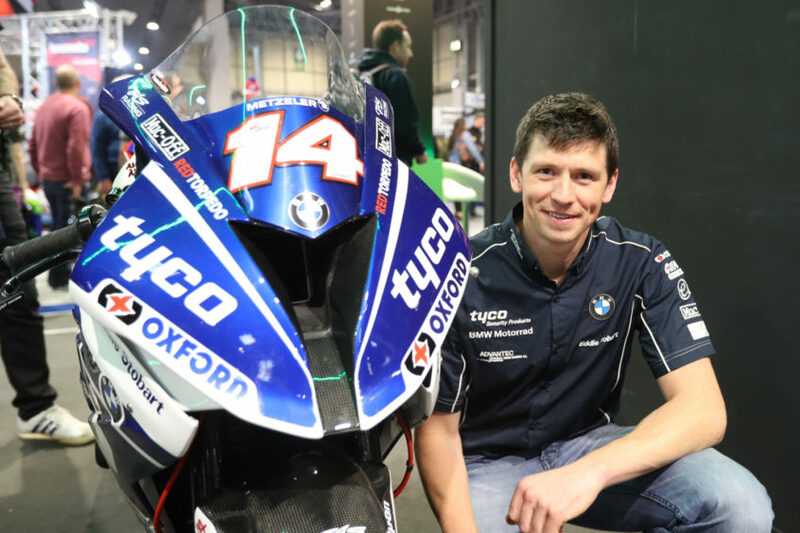 2018 has started in the same positive vein for Kneen with good performances in the British Superstock championship on the S1000RR BMW helping to build his preparation for the new roads season. “We did the Donington and Brands Hatch BSB rounds and they went well plus we’ve had some testing in Spain and at Castle Combe.” Kneen explained. Kneen will also have his first Irish outing of the year at Tandragee this weekend on his superstock spec machine. “It is all about working with the team now to get the bike set up properly.” he says. Alongside riding Tyco BMWs in the superbike and superstock races at the North West, Kneen will also race a CBR600RR Jackson Racing Honda in both Supersport events. Perhaps his fiercest competition at Portrush will come from his Tyco BMW teammates, Alastair Seeley and Michael Dunlop. Seeley is the most successful North West rider ever with 21 victories and Dunlop is the current outright lap record holder around the 8.9 mile Triangle circuit. Kneen says he is undaunted by those impressive credentials. “I haven’t really thought about Alastair or Michael and I haven’t been with them in the team yet.” he smiled.